Over the past two decades, Grove City has been among the fastest growing cities in the central Ohio region and is expected to continue to grow in this manner. The Land Use chapter of GroveCity2050 guides growth in a way that maintains and enhances the qualities residents treasure and considers strategies in response to the changes in market demand, while keeping the City fiscally strong. 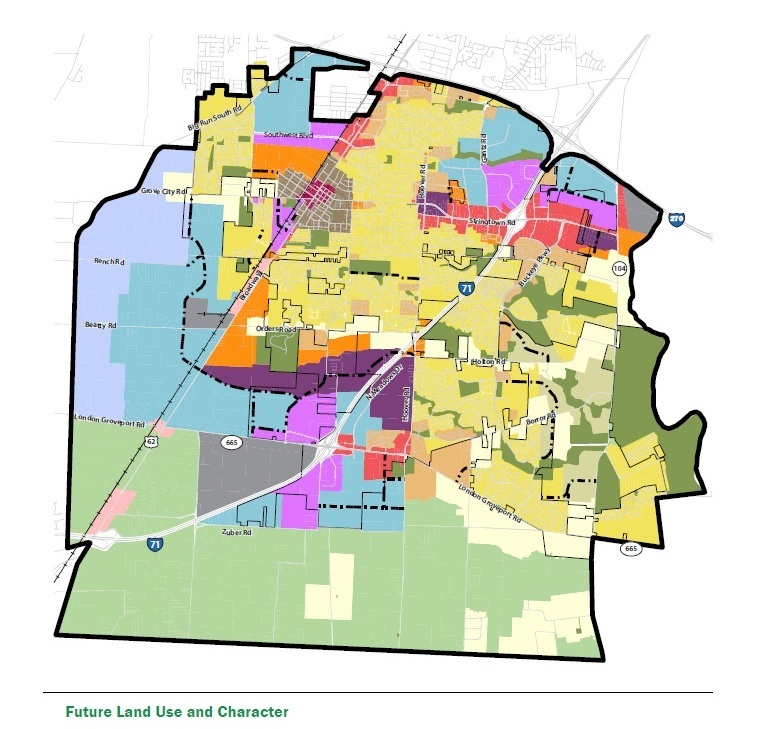 The Future Land Use and Character Map below demonstrates the City’s intent for how Grove City should grow. For additional information on these character types or other information related to land use, please view the Land Use chapter of the GroveCity2050 Community Plan. View the interactive GroveCity2050 Future Land Use map. Deliberate use of land resources that strengthens the quality and character of development while balancing redevelopment and strategic expansion with open space preservation.